The healthcare industry is on the cusp of radical changes and has yet to reach its pivotal moment. Blockchain, predictive analytics and other latest technologies are leading the Digital Transformation (DX) by rapidly replacing the traditional healthcare systems. As a matter of fact, digital health applications have gained tremendous traction in the past few years and are slowly going mainstream, creating a significant impact on the cost of operations, quality of care, and accuracy of patient information. On top of that, technologies like machine learning and artificial intelligence are shifting the paradigm of medical treatment and research. Owing to reforms in healthcare regulations and emergence of new technologies, healthcare spending of the organizations in market research, IT and advanced computing solutions has increased manifold. 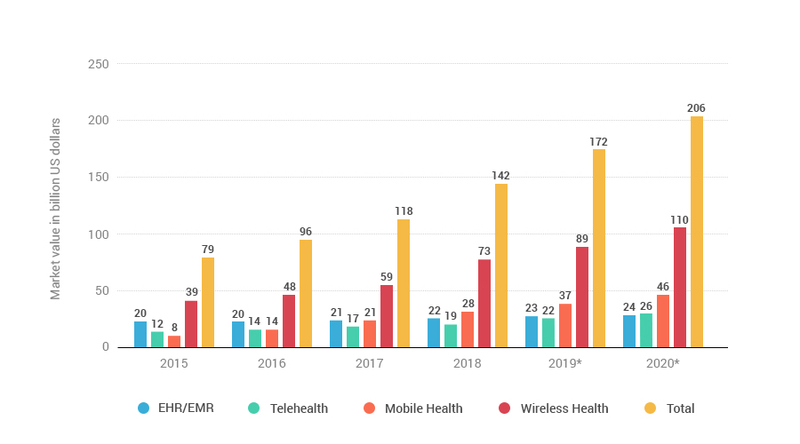 In 2017, digital health investments crossed $6.5 billion, approximately 109% up from 2016. This growth curve is expected to continue in 2018. 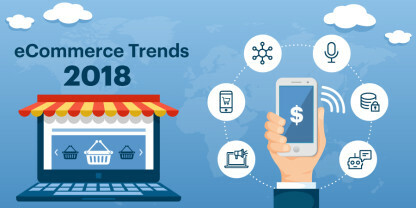 According to an analysis by Forrester Research, in 2018, healthcare organizations will increase their spending on IT by 10% over the amount they spent in 2017. As per the reports of IDC Health Insights, healthcare IT spending in Western Europe will grow to $14.6 billion in 2018. 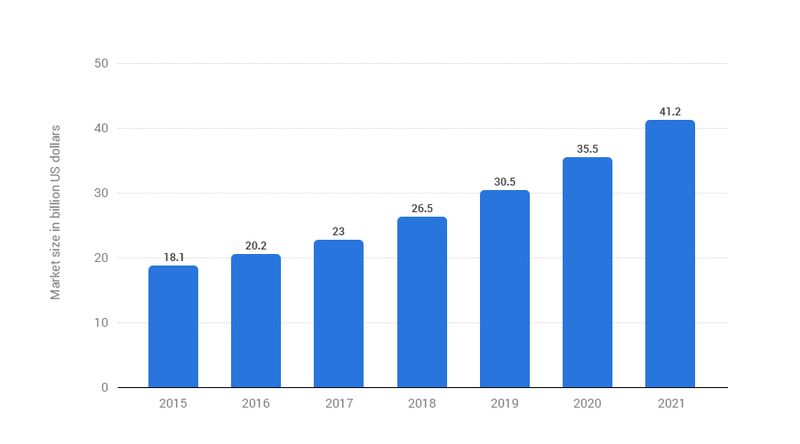 According to the predictions by India-based market research firm, by 2020, the global healthcare IT solutions market will grow at a compound annual growth rate of 13.4 percent, reaching worth $228.79 billion. Federal healthcare IT spending is projected to exceed $4.8 billion in 2019. By 2020, the digital healthcare market is anticipated to have a value worth $206 billion, wherein wireless and mobile solutions will have the major contribution. What 2018 holds for the healthcare industry? Here are top IT trends and future possibilities that will transform the healthcare industry in 2018. The advent of blockchain technology in 2017 has made data sharing easy for healthcare providers. Blockchain has the potential to drive innovation in community-based healthcare models and preventative care. In 2018, this technology will create a new level of integrity for healthcare information and continue to facilitate stakeholders in the healthcare value chain to track patient data and share access to their networks, without compromising data integrity and security. One of the biggest challenges faced by the healthcare industry is the transformation of raw data into insightful information. 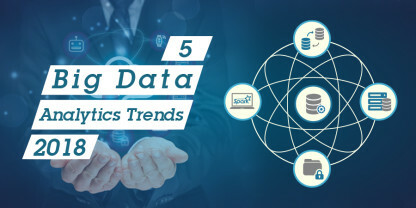 Predictive analytics and machine learning will help healthcare organizations overcome this hindrance, improving chronic disease management, patient care, supply chain efficiencies, and hospital administration. Machine learning, in particular, will be of great help in processing and analyzing huge chunks of real-time data at a much faster speed, which, in turn, will deliver more accurate results and enhance clinical trial efficiency. 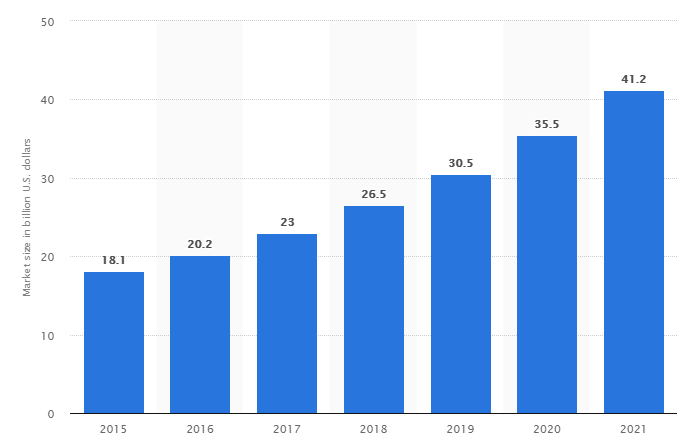 As per the predictions of Statista, the market size for global telemedicine is expected to reach more than $40 billion by 2021. The telehealth patients worldwide are projected to reach 7 million in 2018. As technology is becoming more secured and refined, clinics and hospitals will have more inclination towards telehealth services in order to create new efficiencies, prevent readmissions, improve care coordination, and make care more convenient for patients. Telemedicine will enable patients to connect with medical professionals irrespective of their geographical location via technology from the comfort of their home, for a range of follow-up care and illnesses. 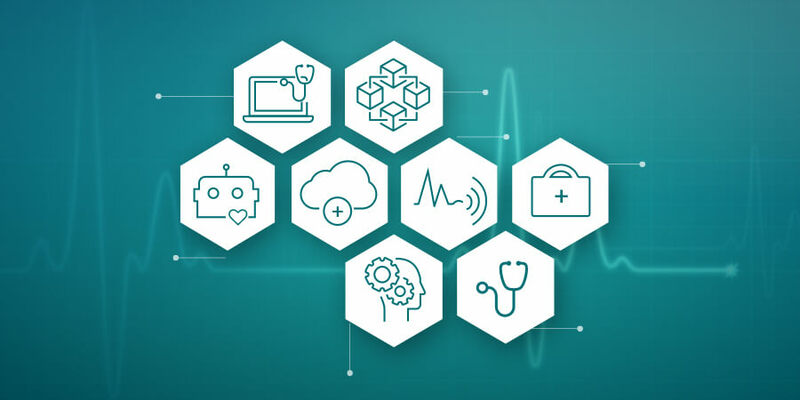 According to a study, 87% of healthcare organizations are planning to implement IoT technology by 2019 in order to revolutionize the way patients are treated. IoT enables health practitioners to collect data from various IoT medical devices and gain valuable insights about patients’ health. Moreover, wearable IoT devices are likely to dominate the healthcare industry in 2018. Healthcare organizations will spend an average of $54 million on AI projects by 2020, as stated in a report. AI will bring advancements in healthcare treatments and will improve medical diagnosis. Healthcare bots will help patients in real-time simply by answering to their health-related questions and manage their medications by providing information on recommended doses and types of medications. In 2017, cloud technologies have been instrumental for medical facilities and hospitals to get remote access to patients’ health records and information in compliance with HIPPA, HL7 and ISO 27001 security standards. 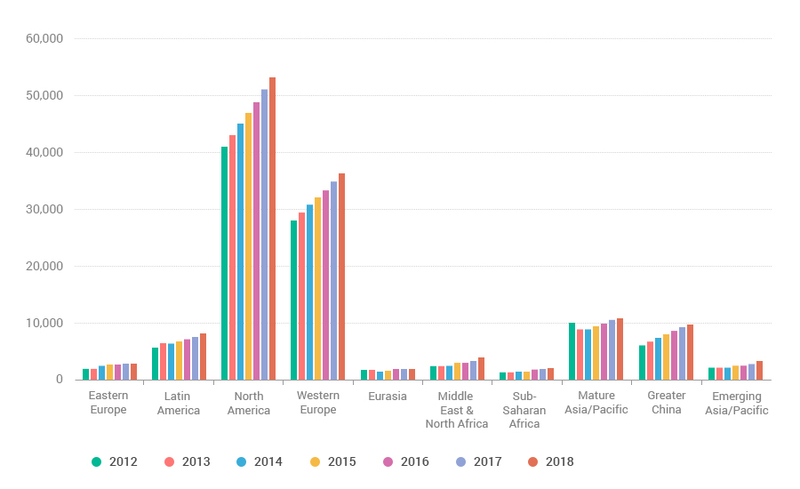 In 2018, the cloud infrastructure services are expected to continuously improve. The mHealth market is predicted to be valued at approximately USD 33.59 billion in 2018. 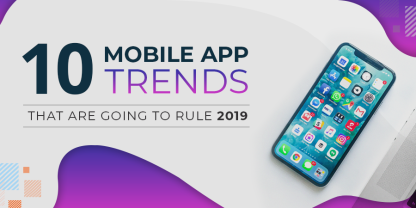 The growth of the mHealth solutions market can be attributed to the advent of advanced network technologies and connectivity. The influx of new technologies has disrupted many industries, and healthcare is no exception. Be proactive and inculcate innovative healthcare IT solutions to quickly adapt to emerging technology changes in order to stay at the cutting edge of innovation, improve patients’ safety, and deliver the best health outcomes.